Am in. Am thinking either a KV or a paper-panzer. I'm not sure if I can fit this one in, but since I don't own any Trumpeter kits, what if any Allied WW II stuff do they do that is pretty accurate? Complexity and time frame will determine if this is a go for me since I'm already heavily involved in another campaign... Oh and 1/72 scale is not in the plans for me at this time. Since there is already a in-progress campaign for the KV series and other Russian heavies, I'd have to disagree. I am in with the BTR-80. Just enlisted. Have a CH-47A, some armor and/or the USS Saratoga. I'm in with the little Italian 4x4 Puma modern recon vehicle. I was just getting ready to pull the trigger on one of these here in the near future. Now I have a reason! I also have a Challenger 2 in the stash as well, so I could always build from the stash as well, great call you guys on this campaign! 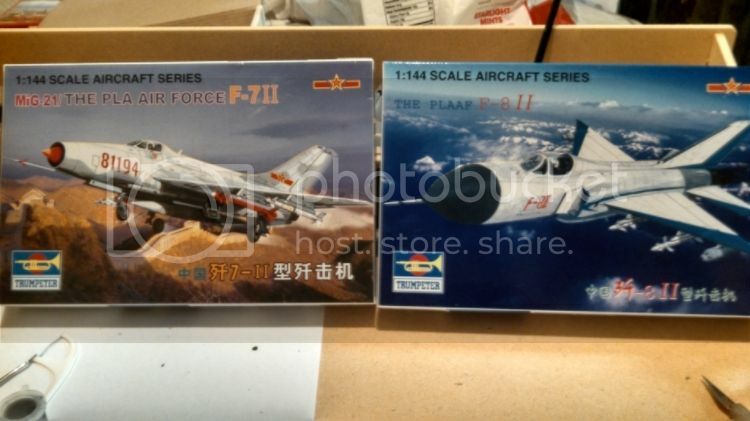 Well like I said probably not starting till February but I will be building the 1:144 PLA J-7II Fishbed and if time permits the J-8II Finback. nothing spectacular but between my busy schedule and other interests I've been really slow finishing things. 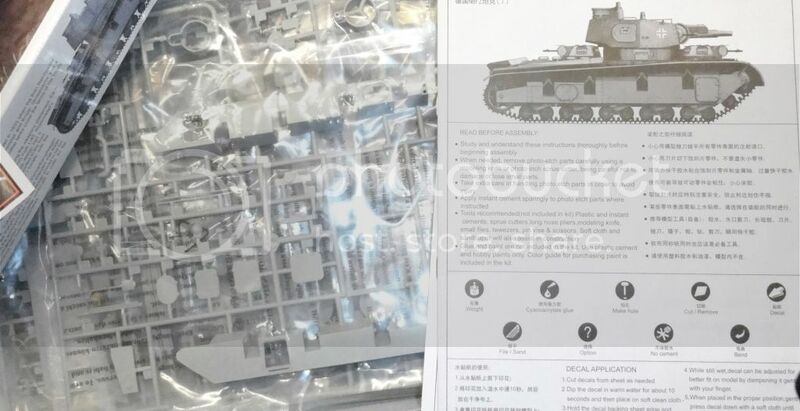 Haven't started yet but I think my choice will be 1/35 KV-1S. My laptop is broken at the moment, so I have to use my sons old pain in the neck laptop. Slow as heck and keys don't work properly... Just wondering, if there's a way to send pics into forums using smartphone?? Tapatalk is one app that can do that -- unfortunately it only has the RSS feeds from Armorama, no forum access. It would be cool to be able to post using this app. That said, I guess the only option is to log in using your smartphone, as you would on a PC, and click away. Easier said than done, in my case! 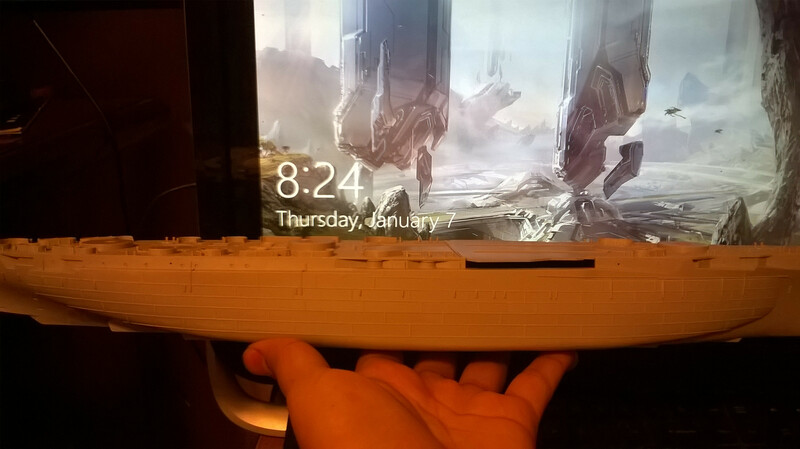 Will be working on Trumpy's USS Texas then. Anyone know about the camouflage schemes for her? Trumpeters color scheme is a bit bland for me. Hi all! Here's my entry. Removed by original poster on 01/18/16 - 20:55:21 (GMT). 1/32 Trumpeter Mig-29K with Avionix cockpit and Aires Exhaust nozzles. I have attached a photo of the aircraft I will be modeling. Unfortunately the Trumpy is a single seater and the production model I am basing my build on is a two seater (although second seat area is filled with electronics, not a GIB). very cool kits, different subjects and scales, this will be fun !!! And.. I didn't pick mine yet. I am in. Lots of stuff in the stash. Also have some resin wheels from Def Models to go on it. Worked on Avionix Cockpit for the 1/32 Trumpy Mig-29K. Not sure I'd spend the money on an aftermarket pit again, although the detail just behind the seat is pretty cool. Originally I stated I would build the 1/72 CH-47A, but it is apparently hiding in the closet. 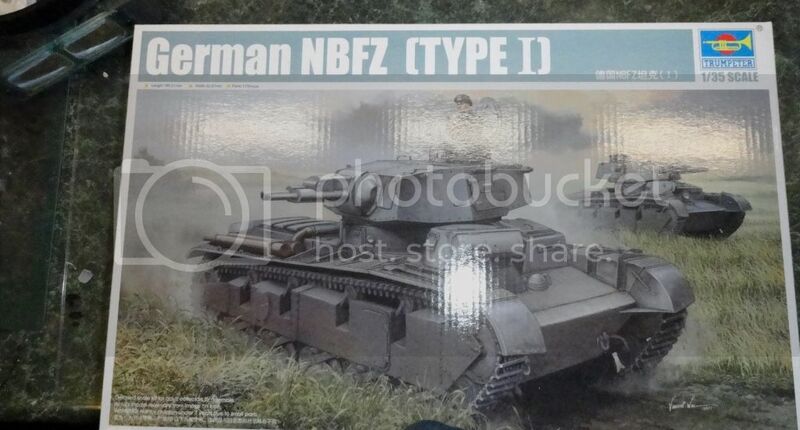 I did find the 1/35 German NBFZ (Type I), better known as the NBFZ VI by Krupp.